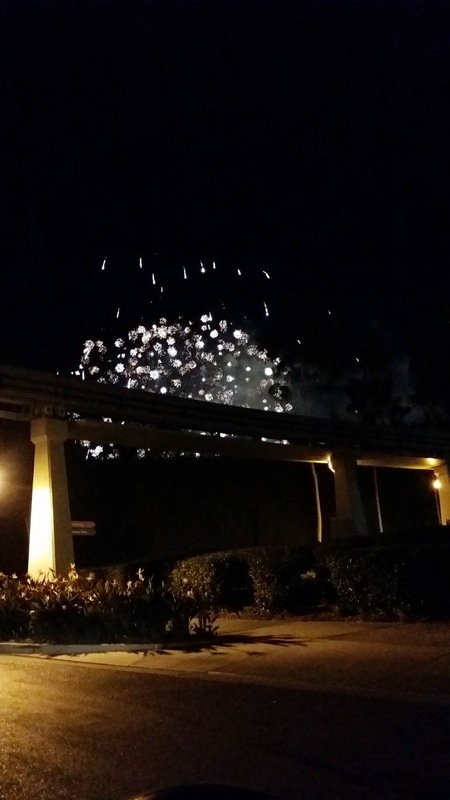 THE BEST PLACE TO WATCH DISNEYLAND FIREWORKS FOR FREE - EAT WITH HOP! The other day I ran out of sunblock. This was crucial to me because sunblock is the only thing that I use to moisturize my face. Otherwise, it will feel dry and uncomfortable. I usually use Nature Republic (Korean Brand) but I decided to switch it up to Shiseido! I read good reviews about the Shiseido Sunblock Stick (review up soon!) and decided to go on a mission to get this! I thought, why not go to the Sephora store located at Downtown Disney?! WORST DECISION EVER! So I was heading towards Downtown Disney at around 8pm on a Friday night. You can already tell that it was the peak time for visitors to go because well...it was a Friday night at around the time the fireworks show would start but I didn't realize that until I experienced one of the worst traffic jams ever. Downtown Disney is less than 3 miles from my house so I thought that I would go to the Sephora there out of convenience, Not only did it turn out to actually be an inconvenient decision, but I realized that I should have checked product location in store first. T___T Sephora didn't even have any Shiseido products at that store location so I was really bummed with dry skin. The worst part is that I found that out after 2 hours of weeding through traffic and finding parking. The parking lot was sooo full that instead of parking at the usual Downtown Disney designated parking, all of the visitors had to park at the Mickey and Friends parking which is usually designated for visitors to the actual Theme park. Wow. 2 whole hours of my life wasted in the car just to buy sunblock that probably isn't ever in stock at that Sephora. Why did I do that to myself?! "Did you know that the best place to watch those fireworks is actually back there? Where all the people are waiting in line for the tram? You can see everything and it's very clear but not many people know that." What a coincidence that I just learned that! 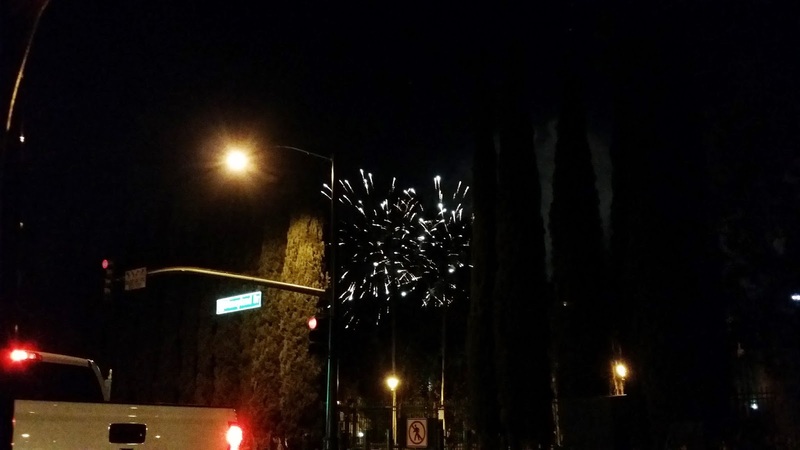 I usually watch the Disneyland Fireworks by coincidence whenever I drive home around fireworks time. But when I intend to watch it (for free of course) then I usually watch it in my backyard or somewhere in my neighborhood. However, there are usually giant trees that block all the good parts so it's not all that clear. 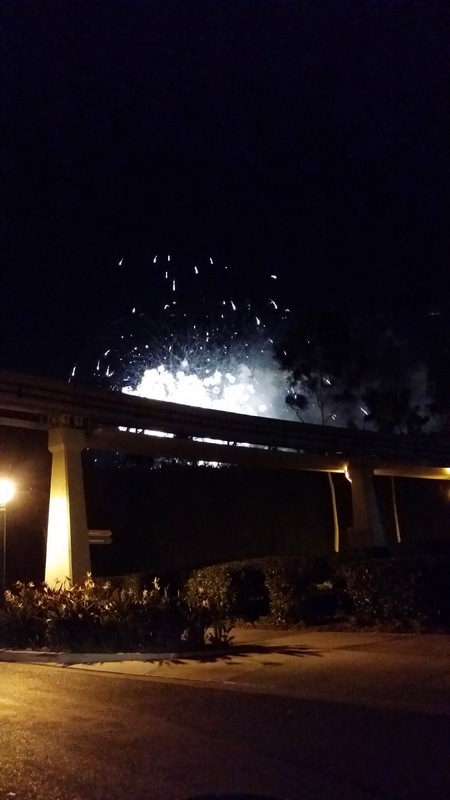 When I want to get really fancy, then I would just drive and park at Downtown Disney and watch fireworks from the parking lot there but still with huge trees blocking the whole show. 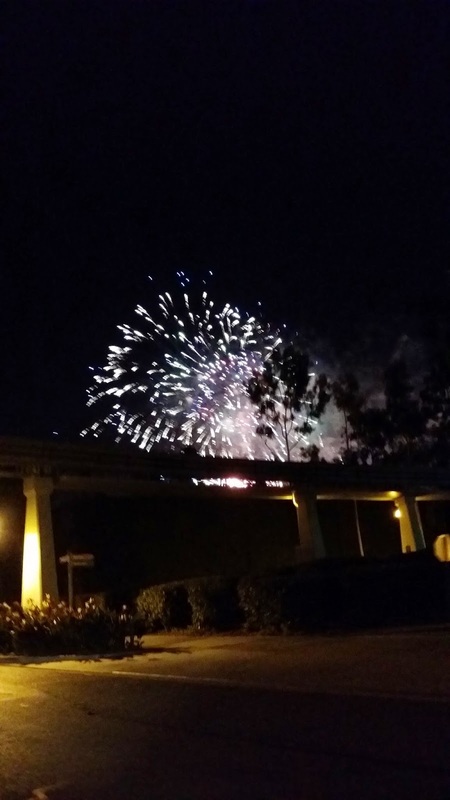 Now I know and would love to share with y'all that the best place to watch the Disneyland fireworks for free is by the MICKEY AND FRIENDS parking structure! You know that area where you wait for the tram to take you from the Mickey and Friends parking structure to Downtown Disney? Well that area where you line up is basically the best place to get a clear view of the fireworks according to that Disney Cast Member! Parking is free for 3 hours at Downtown Disney. However, if you go there early in the daytime and leave at night time when it's super late, they will most likely not check so it's basically free anyways. Sometimes there's no more parking at Downtown Disney so the signs will direct to the Mickey and Friends parking lot structure. the tram waiting area at Mickey and Friends parking structure. don't get on the tram! Just enjoy the fireworks here! UPDATE: According to a fellow Taste Bud named Sharon, she recommend taking the elevator all the way to the top of the Mickey and Friends parking structure to watch it. Nothing to obstruct the view! 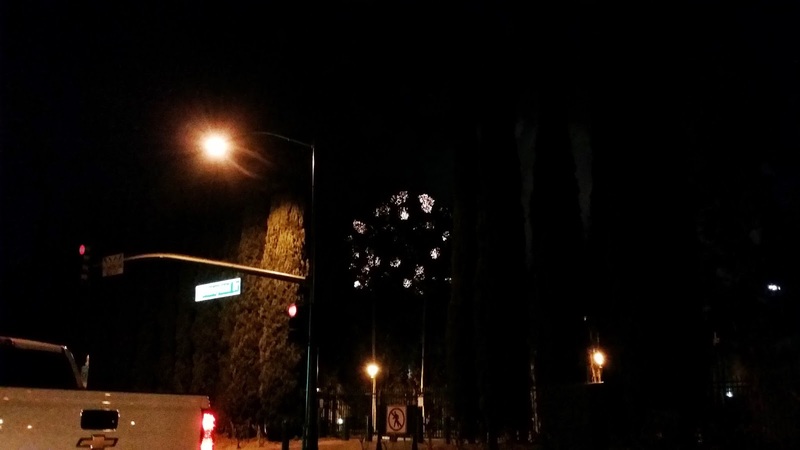 I totally recommend watching the fireworks on the intersection of Ball and Harbor streets. There is a Starbucks there so you can just park there. Go to the where the nearby gas station and stand and watch! The fireworks are in clear view from there! Not a lot of people go to this spot so you can enjoy fireworks without a crowd! HAPPY HALF YEAR ANNIVERSARY @ EATWITHHOP ! SEPTEMBER 2014 SUBMITTED RECOMMENDATIONS BY YOU! AUGUST 2014 SUBMITTED RECOMMENDATIONS BY YOU! 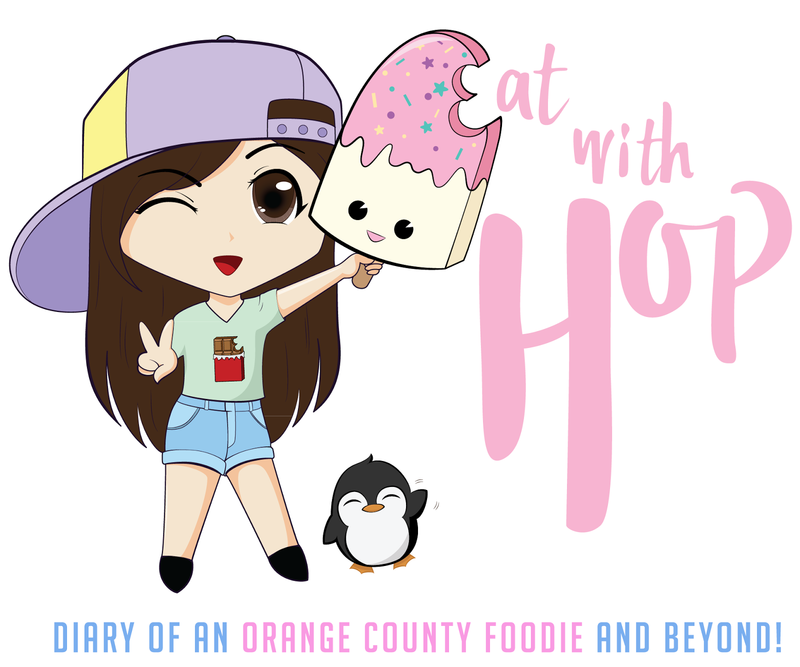 OC WEEKLY 2014 BEST BLOG ? !